Shocking investors, A federal appeals court has granted Dish Network a full review of a ruling they previously lost to TiVo. 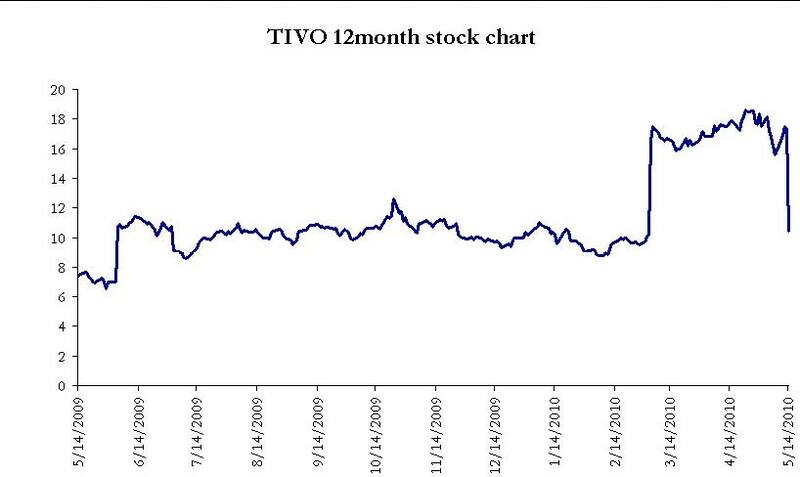 TiVo shares are down 38% on the news. TiVo sued Dish in 2004 for patent infringement over a technology that stored and retrieved video on DVRs, which lets viewers pause, rewind and replay live TV. Dish lost the case on appeal, paid TiVo $104.6 million in damages and interest and was barred from using the technology. 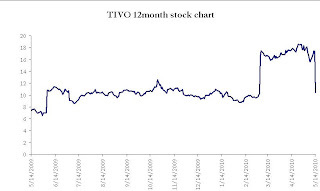 While the case was going on, Dish redesigned software that it said did not infringe on TiVo's patent. But U.S. District Judge David Folsom disagreed after a trial in Marshall, Texas. He ordered Dish to pay TiVo additional damages -- this time at $103 million plus interest, along with about $200 million in contempt sanctions. Dish appealed the contempt sanctions but lost March 4. Friday's ruling vacates that decision. ALVISO, CA--(Marketwire - 05/14/10) - TiVo Inc., the creator of and a leader in television services and advertising solutions for digital video recorders (DVRs), offered the following statement on the U.S. Court of Appeals decision to grant an en banc hearing in the lawsuit against EchoStar. "We are disappointed that we do not yet have finality in this case despite years of litigation but we remain confident that the Federal Circuit's ruling in our favor will be reaffirmed after all of the judges on the Federal Circuit have had the opportunity to review the merits of this case."